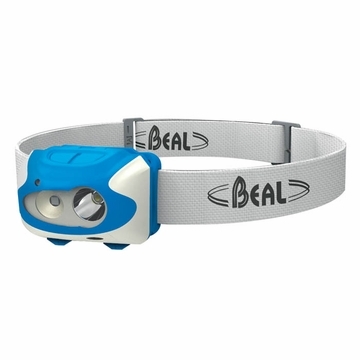 An amazing headlamp with 3 independent light sources, as powerful as it is compact: 150 lumens in its Total Power mode and a lighting distance up to 60m. Focus: a powerful central LED with additional reflector for a long and strong beam. Maximum mode: provides 110 lumens of Continuous Power for comfortable use without a drop in output over a pre-defined period of time with up to 60m of lighting distance. Medium mode:provides 50 lumens of Continuous Power for comfortable use without a drop in output over a pre-defined period of time with up to 60m of lighting distance. Eco mode for maximum burn time. Flood: lateral LED with broad angle reflector for ultra wide and homogeneous lighting. Medium mode: for comfortable and close proximity lighting without bright spots. Eco mode for a narrow spread and optimal burn time. 1 red LED for discreet light vision. Flashing mode to draw attention or when in need. Water resistant IPX6 case.